Scene of the Crime with Author Brad Parks! There's no way on earth I'm ever going to be able to read all the books I have written down on all my lists, but I do the best I can. Sometimes my best still means that I'm coming late to a party or two as in the case of this week's featured author. Brad Parks sent me an email a few months ago, and he charmed me with his wonderful sense of humor. Now that I've read one of his books, I really know just how potent that sense of humor is! 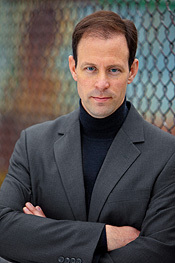 Parks' first book, Faces of the Gone, won both the Nero and the Shamus Awards, making him the first author in the combined sixty-year history of the two to win both awards for the same book. On Thursday, March 13, there will be three books featuring Carter Ross, an investigative reporter for the Eagle-Examiner of Newark, New Jersey. 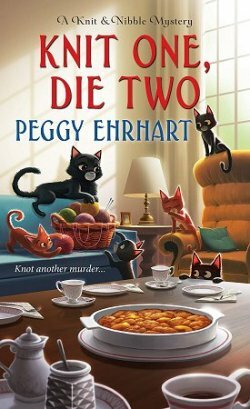 My review of the latest, The Girl Next Door will post here on Kittling: Books on Thursday. I don't want to give too much away, but I will say that I fully intend to read the other two books and make up all that lost ground! In the summer of 1984, I got a devastating case of swimmer’s ear. I say devastating not because it led to permanent hearing loss, but because I was ten years old and it meant I had to stay out of the pool for two weeks. With nothing else to do, I read books. 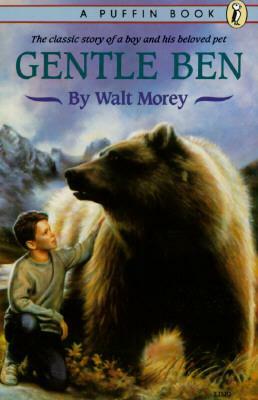 And the book I fell in love with was the children’s classic Gentle Ben by Walt Morey. It’s set in Alaska – which, to a kid from Connecticut, seemed pretty exotic – and it told the story of a boy who adopted a grizzly bear as a pet, which I also thought that was pretty cool. (Mind you, my parents wouldn’t even let me get a dog). I checked the book out of the Ridgefield Public Library on Aug. 9, 1984 – and I know, because I still have it. Yep, that’s right: I stole it from the library. Was I destined to be a crime fiction author or what? I’m sorry, I’m the father of two young children. What’s this “free time” of which you speak? Well, if you go to the library, don’t tell them you know me. They might lock you up as an accessory. So I’d say hit the bookstore. It’s called Books on the Common, and it’s located on the corner of Main Street, right across from Ridgefield Town Hall, where every town ought to have a bookstore. It’s a wonderful independent that’s managed to survive despite a Barnes and Noble in the mall one town over. It recently moved to a century-old building that used to be a hardware store – which didn’t survive a Home Depot moving in one town over – and they kept the scuffed, wide-plank antique flooring just where it is. Tell ‘em Brad (Ridgefield High Class of ’92) sent you. Charlie Sheen. I’ve always wanted my life story to have a little more crazy in it. Is it cliché for a guy to say Jack Reacher? Yeah, it is. But I’m going to say it anyway. I mean, look at the life he leads: He goes where he wants, when he wants, with nothing but a toothbrush in his pocket; he beds down very beautiful (but always very competent) women; and he never has to wash his underwear. It’s every guy’s dream. Plus, he’s a 6-foot-5, 250-pound block of muscle. Just once I’d like to go into a game of pick-up basketball and throw that kind of weight around. Name one book that you've read that you wish you had written. What is it about that book that made it come to mind? 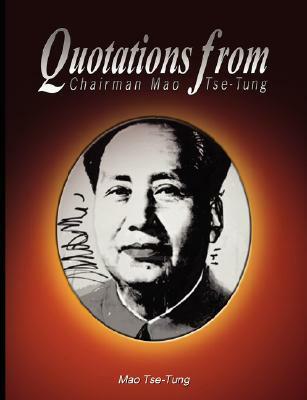 Quotations from Chairman Mao. It’s rumored to have sold something like 900 million copies. Can you imagine that royalty statement? How did you celebrate when you first heard you were to be published? What did you do the first time you saw one of your books on a shelf in a bookstore? Ah, yes. The Call. I got mine July 8, 2008 – not that I remember the date or anything. I was in the newsroom at The Star-Ledger in Newark, New Jersey. Or, rather, I should say, I was behind the newsroom, because the best cell phone reception in the building was out back, near the freight elevator. I tried to stay cool throughout The Call, and absorb all the details, like I was somehow going to make a thoughtful decision about the offer. Yes, it was from Thomas Dunne Books, an imprint of St. Martin’s Press. Yes, the money was small but they would put me out in hardcover. Yes, it was a two-book deal. Blah blah blah. Meanwhile, I couldn’t stop my heart from pounding. As soon as I ended the call, I actually had to go outside the building and jog around the block twice before I could phone my wife to give her the news. I was just too excited. As to when I saw the book on a shelf? December 8, 2009. Not that, again, I remember the date or anything. We had moved by that point, so this was down in Virginia, at my local independent bookstore – Twice Told Tales in Gloucester, Va. And, yeah, maybe I made them put the book on the shelf for me, because that was my release day and they hadn’t gotten the chance to unpack it yet. Details. Don’t let Parnell know you put love in the same sentence as his name. He might try to move into your house. 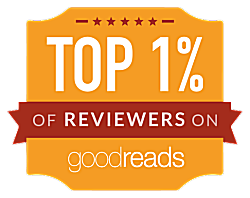 Anyhow, I don’t know if this is unusual – because I think every author has experienced something like this – but it certainly was memorable. It was at the end of the tour for my first book, Faces of the Gone. I was at a library in New Jersey. I wouldn’t call it Franklin Lakes, but if you did, I wouldn’t correct you. Anyhow, my event there started at 7 o’clock. And at 7:01, there I was, in this room by myself – just me and 40 empty chairs. I walked outside, to see if maybe there was anyone in the lobby. And sure enough, there was one woman. We decided to give it ten minutes, to see if maybe people were just late, caught in traffic, etc. Ten minutes came and went and still no one showed up. So I went back out into the lobby, walked up to the woman and said, “Hey, gee, looks like it’s just you and me. 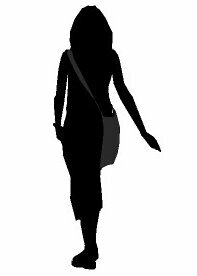 How about you come inside and we chat?” Her reply: “I’d really rather not.” Then she walked out. 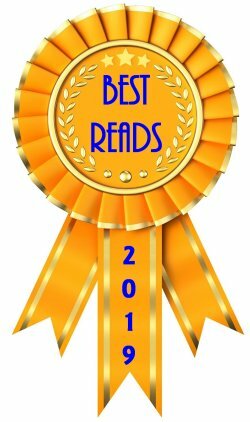 What's the best thing about eBooks? What's the worst? As an author, I’ve always written with the hope that as many people as possible will read and enjoy my work. And, quite literally, since humankind first began scrawling in cuneiform on clay tablets about five thousand years ago, it has never been easier for that to happen than it is today. A reader can go from the impulse to discover an author to actually reading his work in two minutes or less. That’s mind-boggling, incredibly exciting, and, to my mind, the best thing about e-books. The worst? What they’re doing to brick and mortar bookstores. I don’t care what consumer product you’re talking about: having a robust retail presence is crucial. As an industry, we need to continue to be in people’s lives in a way they can touch and feel. E-books are wonderful, but I’m not sure they replace the luxury of browsing through a bookstore – just picking something up because you like the cover/title, turning to a random page and seeing if something there grabs you. Plus, bookstores tend to be staffed by nice, smart people who are very passionate about what they’re selling. We need to find a way to keep them employed. Brad, even though you've now got me looking over my shoulder for Parnell, I do want to thank you for taking the time to let us get to know you a little better. May your book sales do nothing but increase! 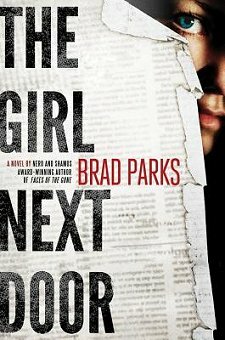 Place your order for a copy of The Girl Next Door and then stop by Thursday to read my review. Next Monday you'll see me right here with an interview from yet another of my favorite authors on Scene of the Crime! An interesting post, but I will not be adding to my wishlist as like you I think I need to live for ever to read all the books I would like to read. And Kay and LindyLouMac... don't we ALL have too much on the TBR pile? It's why I try to take good care of myself: I'm going to have to live to at least 100 to have time to read it all. 'tis better to have arrived late than never to have arrived at all... and I'm still keeping an eye out for Parnell! I really enjoyed this. Thanks so much for introducing me to Brad's books. You're very welcome, Beth. I hope yours is, too! Great interview. And a few morning chuckles for me! Now I must add Brad's books to my ever growing to-be-read-someday list. Leslie -- I'd be honored to join your list. And I hope you join me in living to be 100. If all of us readers aren't long-lived, I hope there's a heavenly library (that they'll allow me in)! Me too. I always worry that I won't live long enough to read all my books. Nice interview! Brad's books are great, by the way...but Charlie Sheen? I was thinking more Paul Giamatti. Aw, come on, Alan. I know I don't quite have your slender physique, but I'm not THAT chubby. (And, really, Zach Braff would probably be a better fit anyway). Charlie wasn't on my list either, Alan! 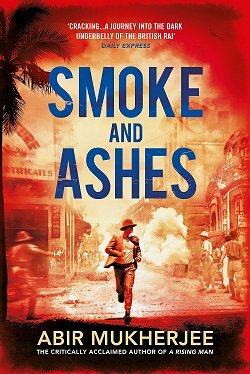 This is the second interview I've read with Brad Parks and I absolutely have to make time to read his books. He is so funny! I used to live in CT; Ridgefield is a beautiful little town, which if I remember correctly has a boatload of very wealthy residents. Glad to hear an indie bookstore still survives there. Yeah, Ridgefield was upscale back when I grew up there, too. (Although Greenwich still looked down their noses at us). We didn't have much of a football team. But our tennis team... watch out! Thanks for checking in, Barbara. 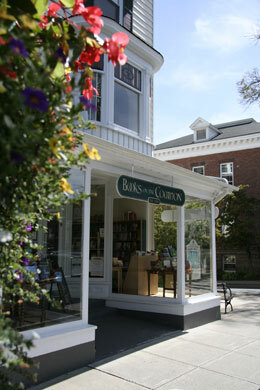 After visiting Books on the Common's website, I wanted to hop a plane!